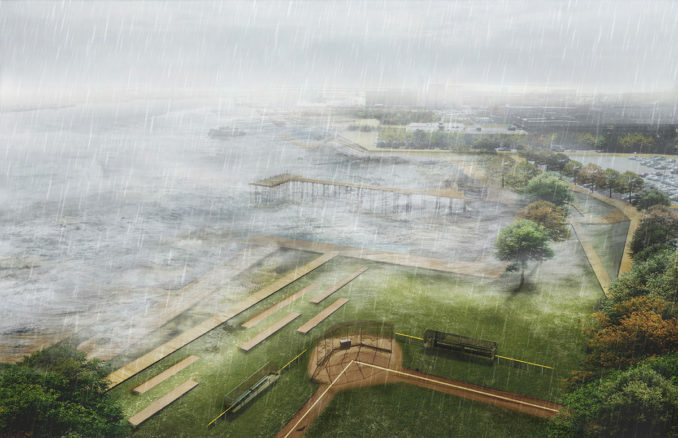 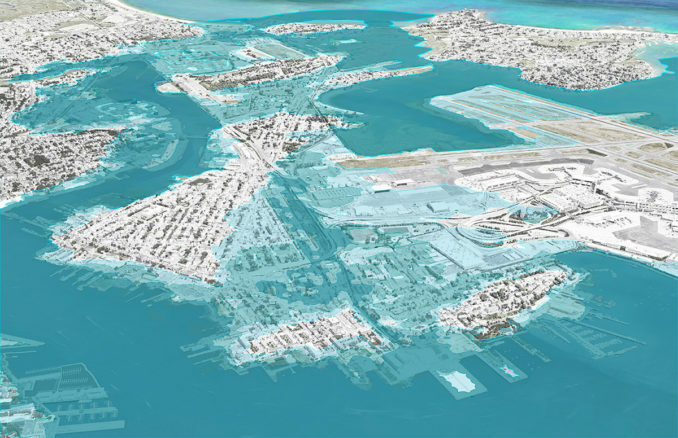 Coastal Resilience Solutions for East Boston and Charles-town outlines near- and long-term strategies to protect neighborhoods from flooding – in two of Boston’s most disadvantaged areas. 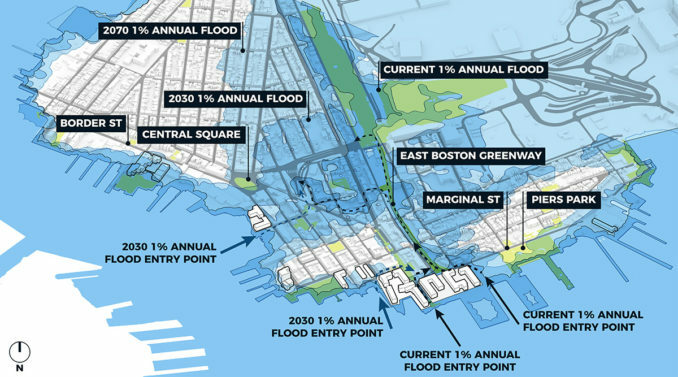 It is the first neighborhood-specific application of the Climate Ready Boston framework, the City of Boston’s ongoing initiative to adapt to climate change. 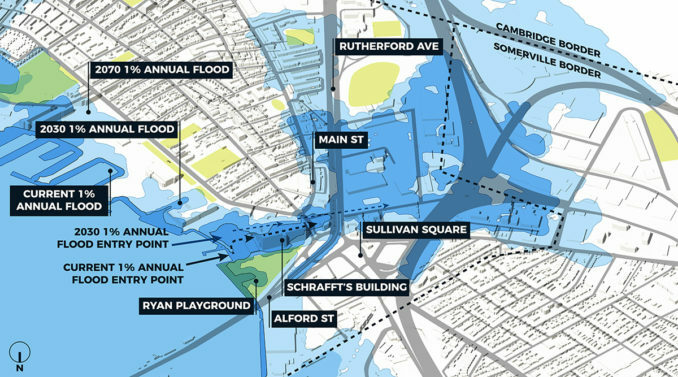 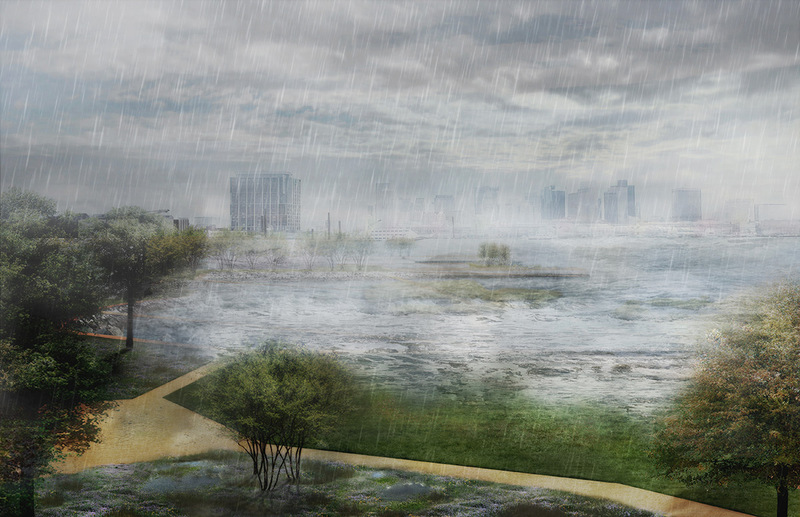 The Climate Resilience Solutions project is a direct response to recommendations in the Climate Ready Boston report (2016) that the City ‘prioritize and study the feasibility of district-scale flood protection’ and ‘develop local climate resilience plans in vulnerable areas to support district-scale climate adaptation’. The City of Boston chose to address these areas first because they are currently at risk from the 1% annual chance coastal flooding and have high concentrations of vulnerable residents and critical infrastructure. 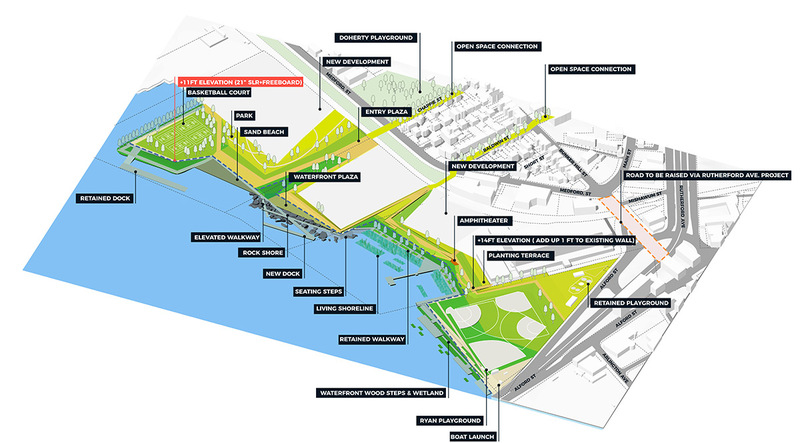 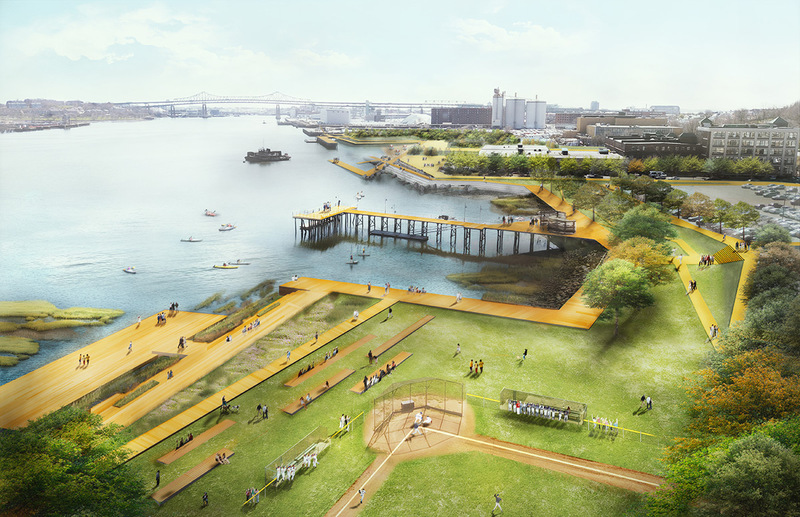 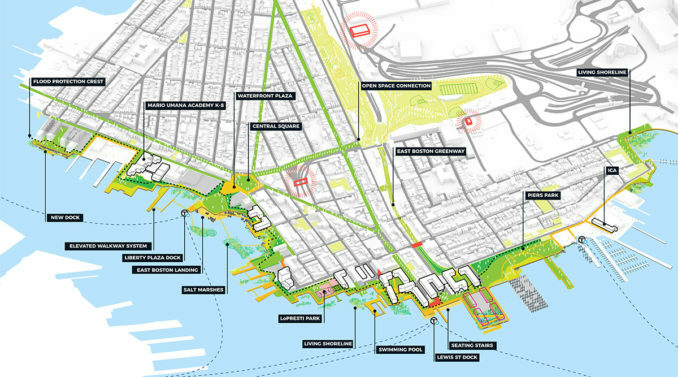 East Boston District Protection – Credits: Stoss Landscape Urbanism The vision combines existing and proposed green infrastructure to create a protected district of greenways and waterfronts. 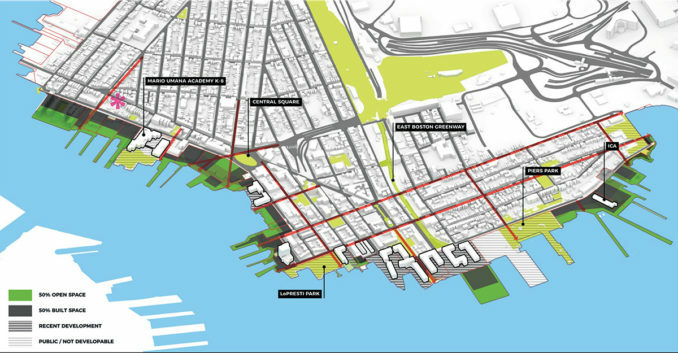 The design team, in coordination with partners at all levels of government, community members and the private sector, developed a resiliency strategy that included a set of evaluation criteria, recommendations for near-term and long-term actions, order-of-magnitude costs and an implementation roadmap to guide the City as it begins to move from planning, into implementation phases. 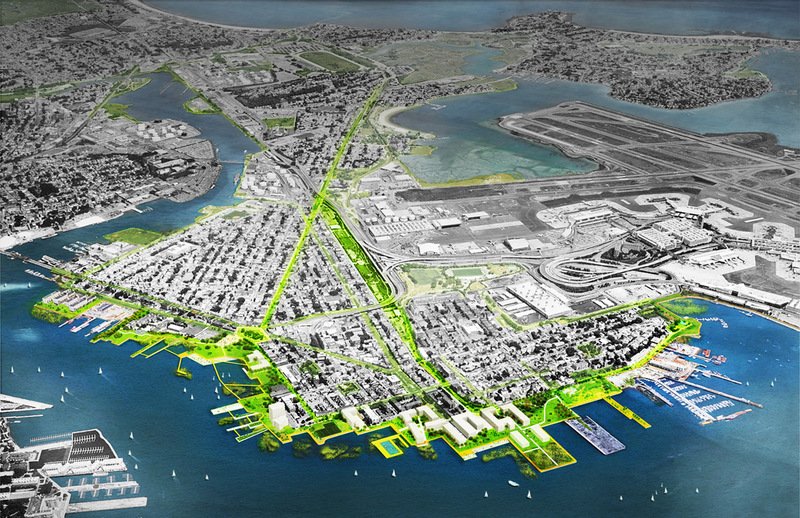 The resiliency strategy embraces layered flood control and integrated green infrastructure measures that mitigate the effect of climate change, and create social, environmental, and economic benefits and value to the people of East Boston and Charlestown and to all who share in the health of the city and the harbor. These measures include waterfront open spaces with strategic elevated areas at key points of entry for coastal flooding such as the Greenway in East Boston and at Schrafft’s Center in Charlestown. Additional measures include enhanced Harborwalks, improved connections to the waterfront, natural wetland buffers and ‘living shorelines,’ stepped hardscapes, temporary flood barriers, and increased planting of shade trees to combat higher temperatures. 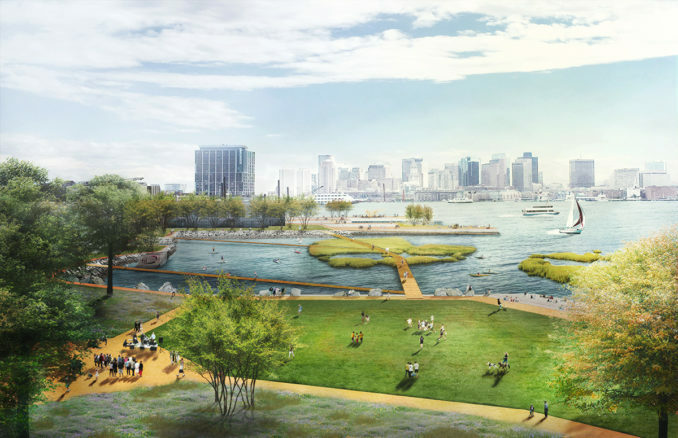 Together, these measures will provide flood protection, waterfront access, recreation, and mobility, and dramatically increase waterfront open space and public access to one of Boston’s greatest natural resources. Charlestown Vision – Credits Stoss Landscape Urbanism Waterfront parks and living shorelines protect Charlestown, Sullivan Square areas, Sommerville and Cambridge, against predicted 2070 water levels. 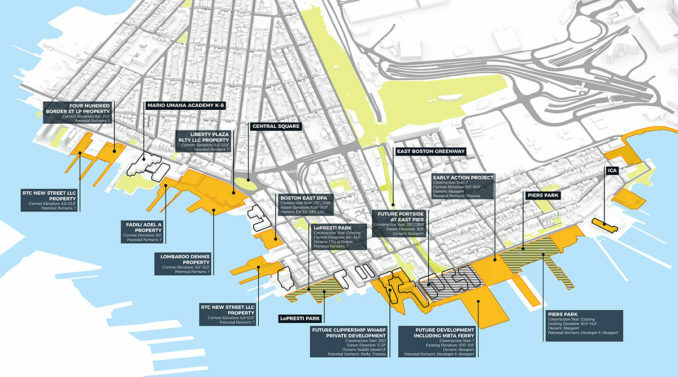 Together the measures outlined will provide flood protection, waterfront access, recreation, mobility and protect over 11,000 residents, at least 300 businesses, as well as critical highway and transit infrastructure.